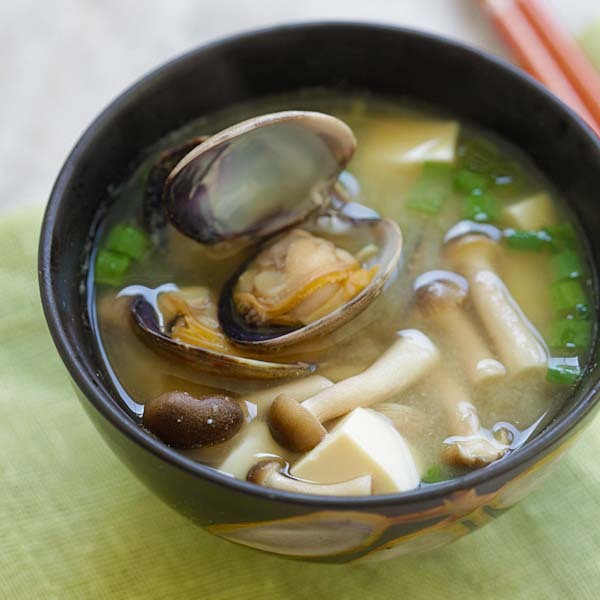 Asari Miso Soup - easy Japanese miso soup with Manila clams. So briny, tasty, done in less than 15 minutes and tastes so good! Originally published on Oct 22, 2007, updated with new photos. 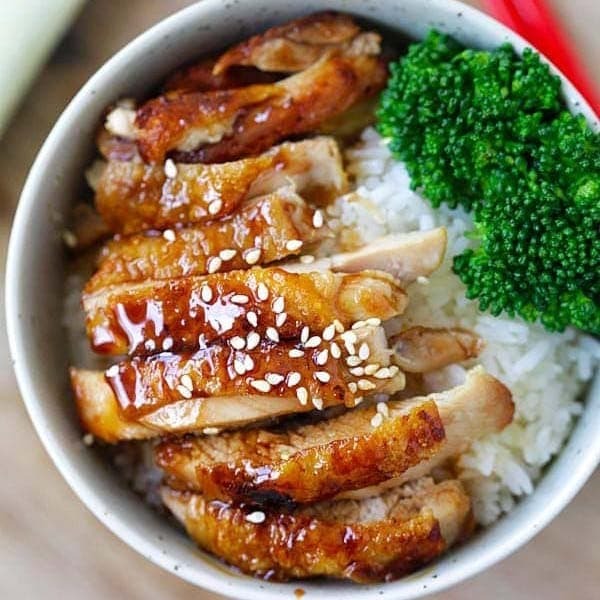 I can’t seem to find anyone who doesn’t like Miso soup—the ubiquitous Japanese soup that is commonly served with Japanese lunch combos (bento boxes) in the United States. I am a big fan of miso soup. It’s light, invigorating with the simplest of ingredients. I love slurping Miso soup—especially when it turns cold in the western hemisphere. It’s such a comfort food. This is my Asari Miso Soup, or a deluxe version of plain Miso soup. The addition of clams infuses the traditional serving with a tint of brininess of the clams—an ingredient that perks up the taste immediately. 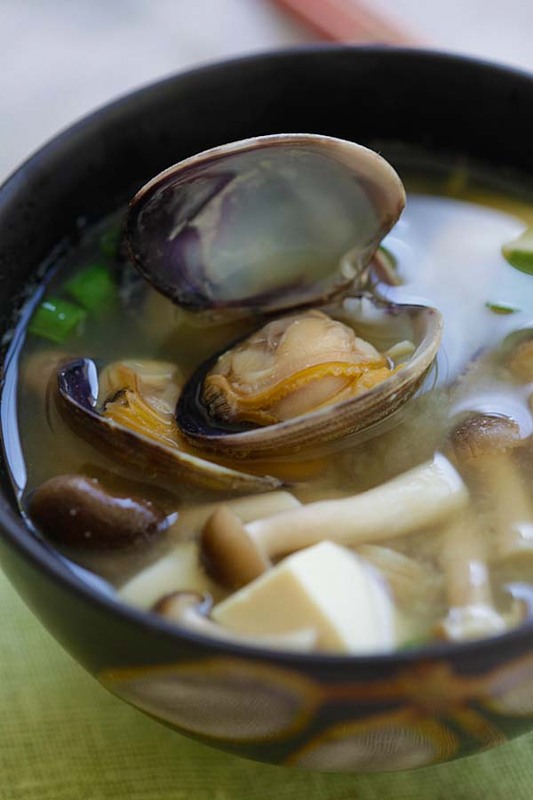 I love clams so the more clams in the miso soup, the better the taste. It took me less than 15 minutes to Asari Miso Soup; it’s perfect for a quick lunch meal or light dinner. Just don’t forget the steamed rice. 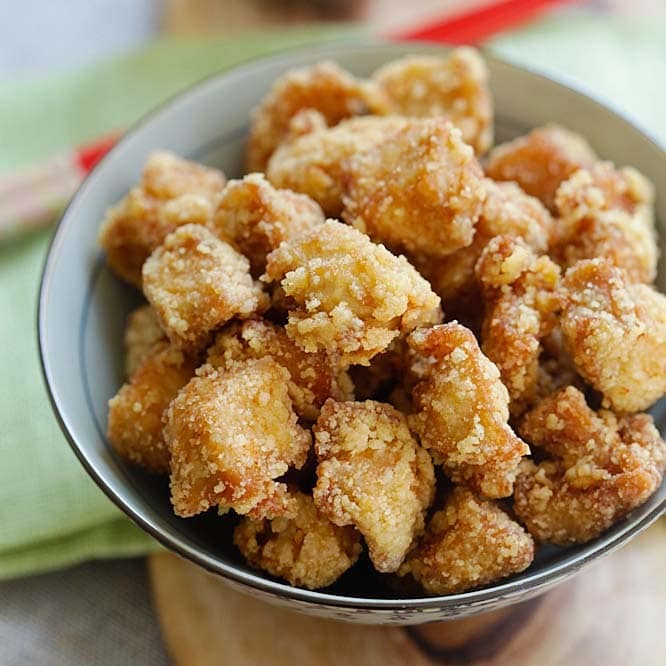 If you love Japanese food, check out all my Japanese recipes. Bring the water to boil. Add the soft tofu and mushroom. Add clams and boil for about 2 minutes or until all clams are open. Turn off the heat and add the miso (do not boil the miso) and stir it with chopsticks or a ladle until dissolved. Top with the chopped scallion and serve hot with steamed rice. All photos and recipes on Rasa Malaysia are copyright protected. Please do not use the photos and recipes without prior written permission. 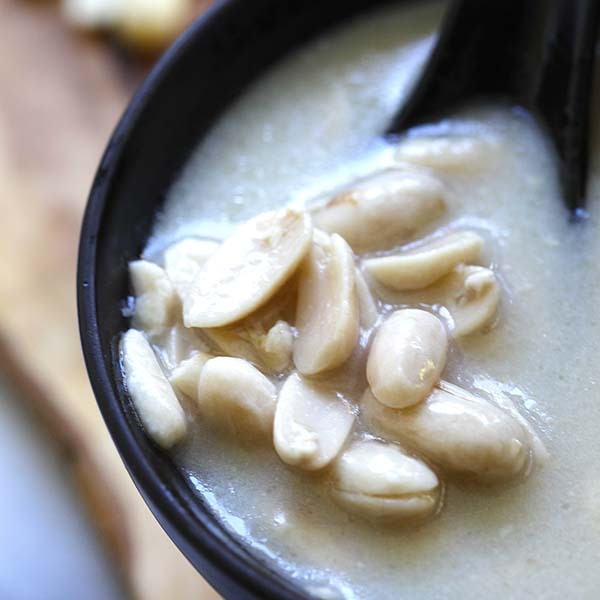 If you wish to republish this recipe, please rewrite the recipe in your own words instead of copy and paste and link back to //rasamalaysia.com/recipe-asari-miso-soup-miso-soup-with/. Thank you very much! I’m not a big fan of miso soup because– guess what– it’s always missing something substantial in it! Since it would be awful to throw in a side of pork, I think clams are a great idea! You’re right…Everyone who I know and have tried Miso sop said they love it. And So do I. I should try to make with aka miso as you did. Who wouldn’t like miso soup? I think of it as Japanese chicken soup for the soul! Your recipe is just my kind of dish — light, simple, elegant. yum! this is a good marriage between clams and miso. As a big fan of miso soup, this sounds warm and inviting. What a superb idea to add the clams. I agree that it will add a nice briny flavor to the taste of the broth. Next to tom-yum-goong miso soup is a favorite. Oooh, how I love miso soup! I never knew it was so easy to make. I like to use kombu and bonito flakes to make a proper dashi before adding the miso. Simple, elegant, and beautiful! I love the addition of manila clams. Thanks for posting such an easy recipe. we can imagine the lala miso tastes ! I love this idea! 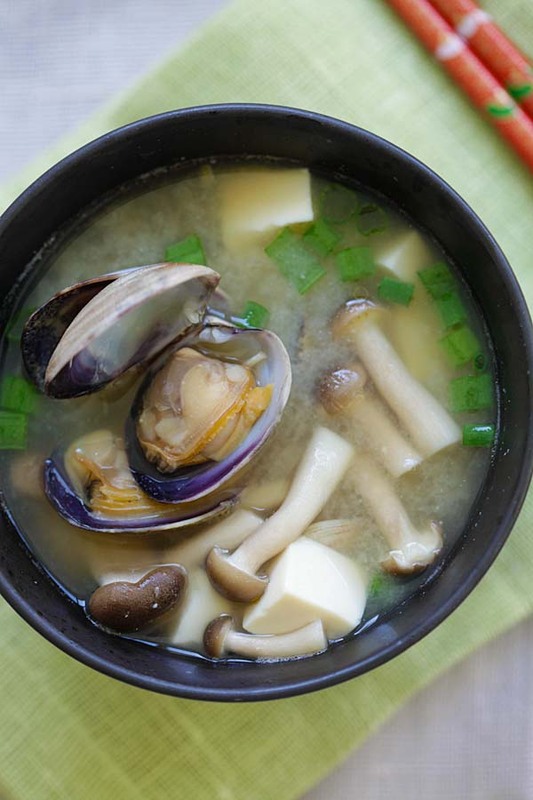 Miso and clam must be a nice combination. And the light broth is what i really need right now! Seriously RM, you come up with the best recipe ideas! and i put lots of seaweeds…..
ME, ME, i dont like miso soup!!! but that’s because it usually only has taufu and seaweed. miso, i don’t really like that (i think it’s the first time I say that on your blog ;-)) but the picture is so great! I should try! cheers! P.S I have tested your lemongrass chicken….just perfect! That is a bowl of comfort right there. 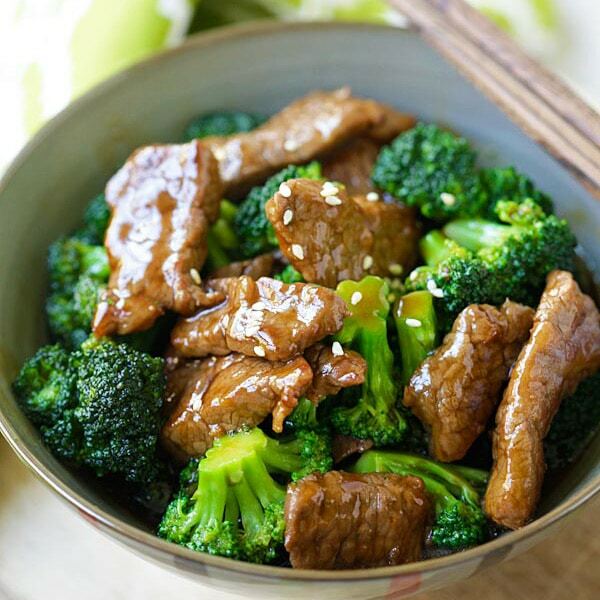 This looks incredible delicious! I love clams! I like mine with honshimeiji mushrooms and wakame seaweed. But, I’m a freak who likes slimy food. oh raa what a stunning idea to use clams in miso. holy cow that looks delicious. i need to steal this idea next tie i;m at the fish market, muah! I’m one of those that LOVE miso soup. In fact, I had some last night during dinner at a Japanese restaurant with a friend who just arrived from the US. I love drinking it straight from the bowl the way it’s supposed to be done too. :) But I’ve never tried it with clams, and it makes perfect sense! It seems to resemble ‘halaan’ , my dad’s favorite clear clam soup. 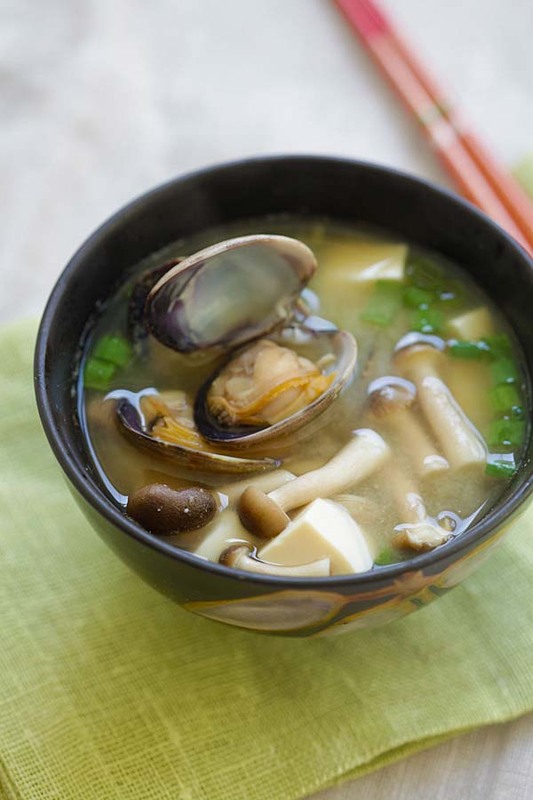 Miso soup is one of my favorites and I love clams! They sound amazing together! I rarely make miso soup for dinner because my husband tends to feel that it lacks substance. I can’t wait to try this one out on him! I love miso soup and your asari miso soup looks so damn good. 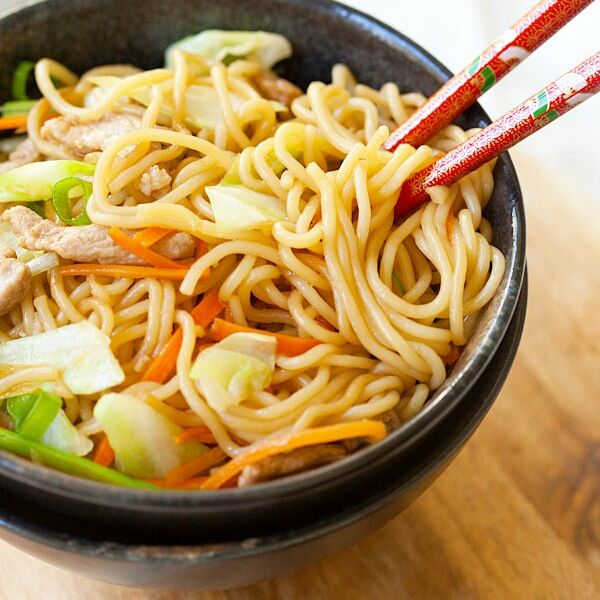 I sure will make this using your asari miso soup recipe. It sounds easy enough. Your picture drew me in, and the recipe has me very happy that I have miso paste on hand already. Great post! 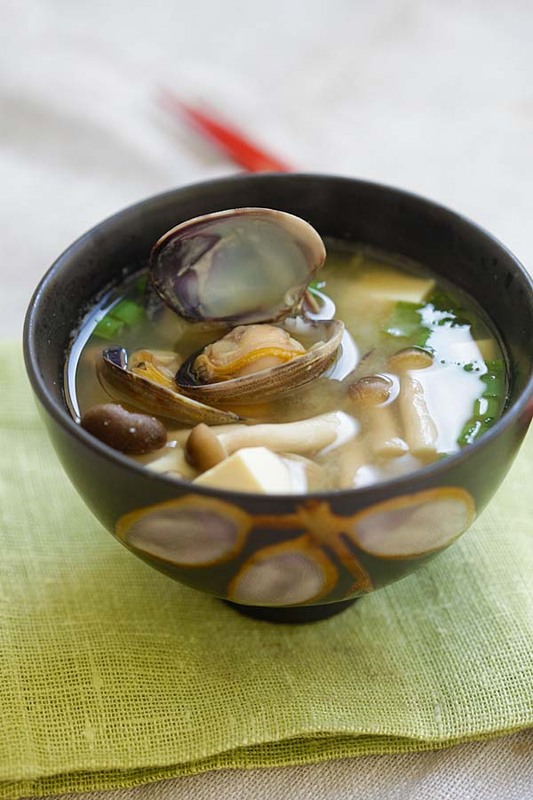 This miso soup with Manila clams looks yummy. Maybe the Japanese restaurants should add the clams next time to make it more tasteful. Love it so much!!! I add Gomasio, rice noodles, shitake mushrooms,ginger root, bok choy/tat soi/mustard greens to water and simmer for a few minutes, then add fresh basil, mung bean sprouts, and leafy greens like arugula or frisee after I’ve removed the soup pan from heat. I add live miso at the very end and serve with a little Tamari. 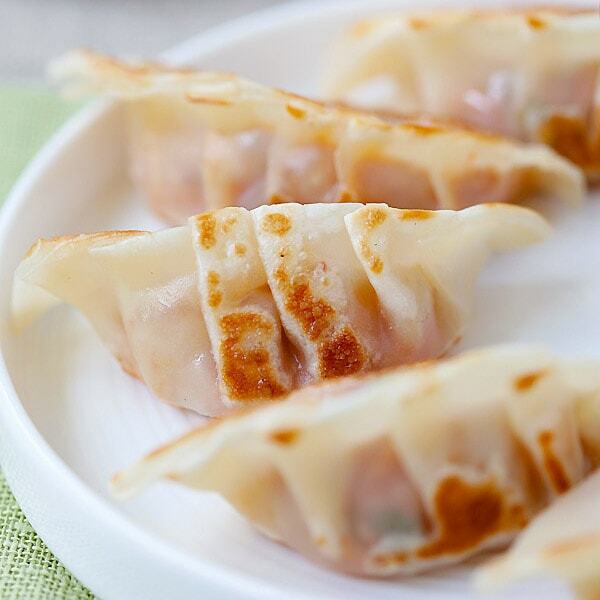 Can i use white miso paste instead? I wonder where can i buy miso paste in kl n johor area..
i’m hoping to be able to find one that is safe for muslims to eat.. I noticed that the picture of the soup shows mushrooms in it? If so, they are not mentioned in the recipe…. Thanks for catching it, updated. 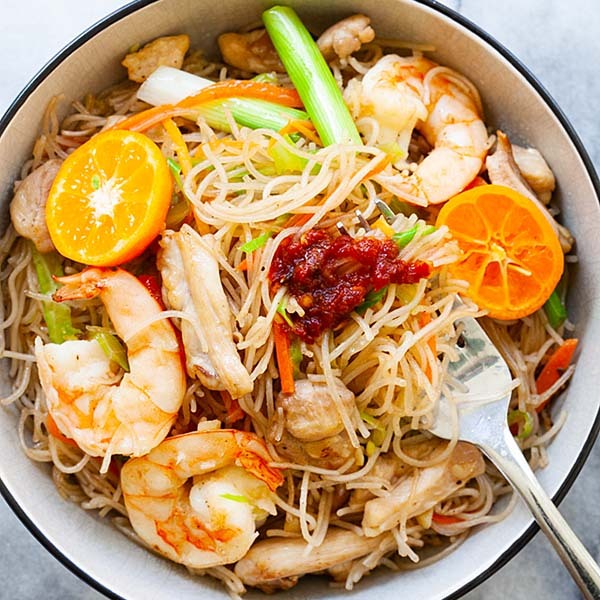 Beautiful looking recipe! can’t wait to make it at home. Thank you so much for sharing. Miso has such a great flavor!